Welcome! 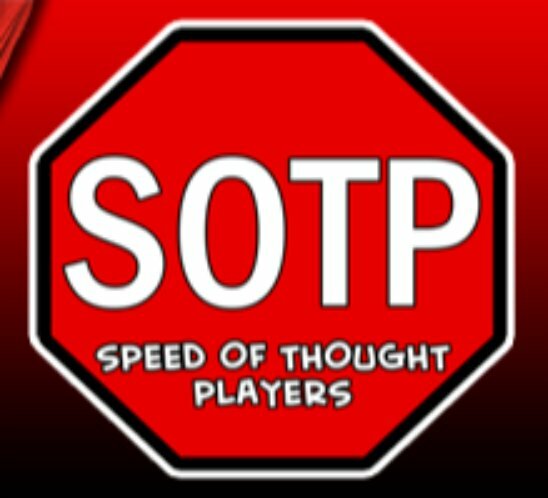 The Speed of Thought Players, or SOTP, is New England's premier improv comedy group and theatrical troupe originally founded in 1998. The SOTP use a fully audience interactive format to engage and entertain audiences. Having performed in colleges, clubs, festivals and functions throughout New England and beyond, The SOTP are regularly performing corporate and private shows. or Deric @ 401-225-4449 for a quote. Your Speed Of Thought Players are currently booking corporate, college, and private shows. ​So contact us for a quote or testimonials! We always leave them laughing!